While most of us are still enjoying summer’s company, fall has decided to invite its self into our daily lives. This can be actually a positive thing! I know some people may have mixed feelings about the season changing but something different can lead to really amazing new things to come. New beauty trends, more amazing clothes we just have to own. All the gorgeous new bags that make us star struck with envy. The best thing about fall? Changing your look completely around so you don’t even recognise yourself. I am not talking about going under the knife or being too extreme. Something so simple like getting a new hairdo can really change your life. 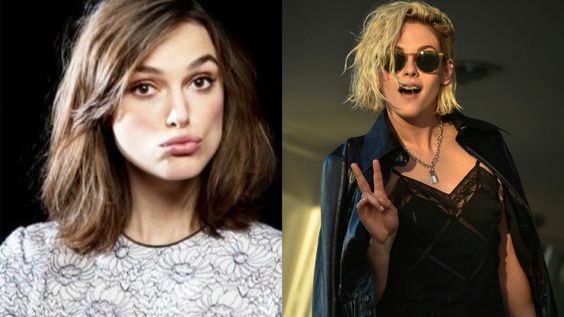 Countless celebs have been ditching their old fashioned longer hair for a new fresh do. 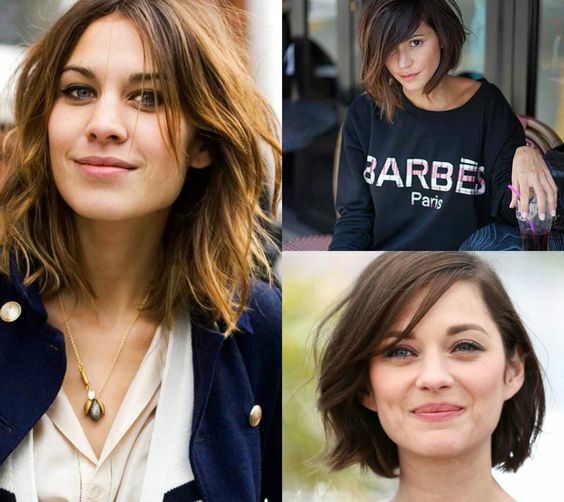 From the long bob or “lob” to the chic Parisian appeal, you can’t help but get inspired by so many different styles of shorter hair. Whether you go edgy like a punk 90s chick or wavy and fresh for a stroll in the city. You can practically find a variety of styles and see which one suits you the best. It can be challenging when you make a huge commitment to cutting your hair. Once it is done it can’t be reversed, however you can always have peace of mind knowing it grows back. Pinterest is the highest searched platform for hair trends, celebrity hair, and so much more. It is the perfect outlet to create hair boards to motivate you so your individual hair goals become a reality. Some people find dying your hair another colour to be so frightening it puts you into a panic mode. This is the same feeling you get when it comes to cutting your hair. Don’t let fears of the unknown get to you and control your thinking process. At the end of the day it is important to jump right out of your comfort zone and do something out of character. Still not convinced yet? Don’t worry your pretty petite head of yours, here is why shorter hair is better! 1. Cutting down can change your worldview- You get an overwhelming sense of empowerment knowing that old knackered hair is out of your life. The feeling of being more beautiful then you ever felt before is a normal reaction to this transformation. It feels like the beginning of a new and freeing change that can also reflect your own life. 2. Fun and games- Having shorter hair can show off your personality and let that inner quirkiness in you shine through. 3. Always classy- It gives off a classy look with some retro influences, think a modern yet ever so lovely Coco Chanel. 4. Diverse- You can rock this hairstyle so many different ways it would make your head spin twice. Put it up for an evening out, leave it down and wild for a casual coffee stop, or straighten it for a fun night out look. 5. Easy maintenance- Sometimes you just don’t have time to spend hours on your hair. What better way to get out the door in a matter of seconds, then a no fuss hair cut! You don’t have to use certain products to maintain its lovely shape or style. Instead you can just let it dry and have a natural appearance. 6. 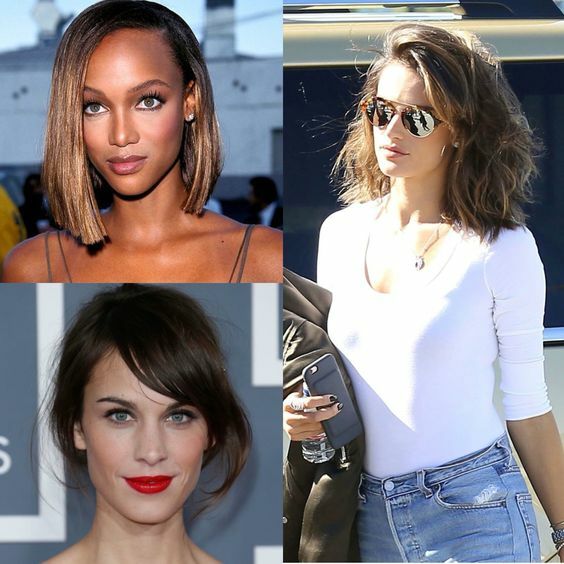 Best features- A lob, or above the shoulder length hair can highlight and complement your best features. Brightening up your eyes and making them appear more prominent. Taking your cheek bones to looking much higher than before, and giving your lips a new sense of the word perfect pout. 7. So dope- Sporting a brand new shorter hair cut just looks cool. Switch up your boring hair routine, but keep your signature style consistent. The versatile appeal of a chopped do is a must! It can add volume to your hair and cause it to bounce up. This is not just for the end of summer but the perfect way to transition into fall that makes you feel good.